Prospects for the race looked a little grim first thing with strong winds and rain but luckily it cleared up before the start although we still had a good breeze with 15 - 20 knots for all of the race. Decided to hang back at the start to ensure a good position on the line and got in as the closest boat to the committee boat with clear air and the shortest distance to the first mark (Quinnell). 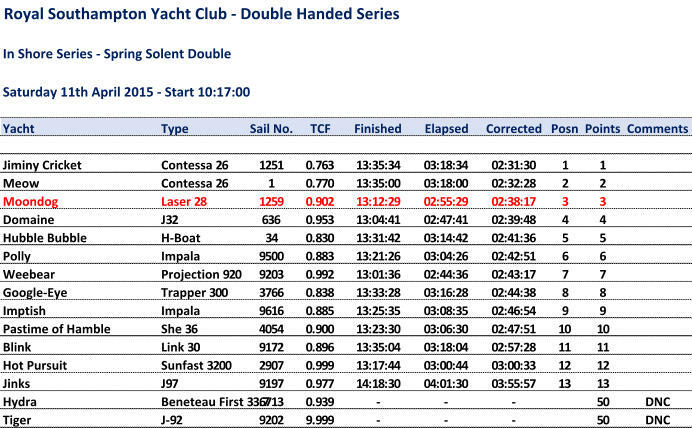 Managed to pull away from the lower handicap boats on the beat to Quinnell with Domaine and Weebear up ahead. At the mark Pastime of Hamble was right behind us as we put up the heavy weight kite for the down wind leg to Mackley Van Ord. Didn't make to much out of the kite run as it was pretty dead down wind and we had a strong tide under us giving a maximum of 9 knots over the ground. Dropped the kite in good time and headed off on the third leg to Artemis which was a pretty hard slog against the tide. 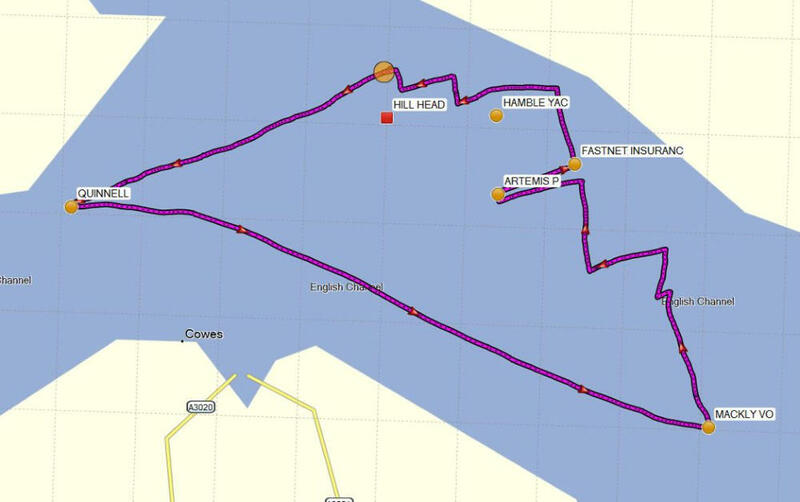 Quick run down from Artemis to Fastnet Insurance then beating again up to Hamble Yacht Services then on to the finish near Hill Head. Very pleased with the third place as we were only beaten by the two bandit rated Contessas 26s with all the reasonable boats behind us.